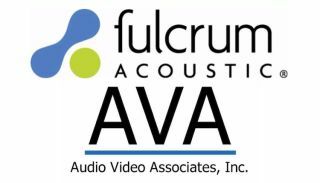 Fulcrum Acoustic has appointed AVA Audio Video Associates as its exclusive distribution representative for the Lower Midwest region. AVA is responsible for Fulcrum Acoustic product sales and support throughout Missouri, Kansas, Iowa, Nebraska, and southern Illinois. "Our mission is to unite customer-driven manufacturers with value-added dealers to provide superior products and service to end users," said AVA president Ben Shipman. "Grigg Haws, Erich Uhlhorn, myself, and the rest of the team look forward to enhancing our current offering of high-quality independent manufacturers with Fulcrum Acoustic. Fulcrum will help our eager sales force open new markets and opportunities." "We see AVA as being instrumental in helping us meet the growing demand we have been seeing for our products," said Fulcrum Acoustic president Stephen Siegel. "Since 1997, AVA has distinguished themselves through outstanding sales performance and customer support. We are thrilled to have them on board." Based in St. Louis, MO, AVA Audio Video Associates can be reached through its website's contact page.